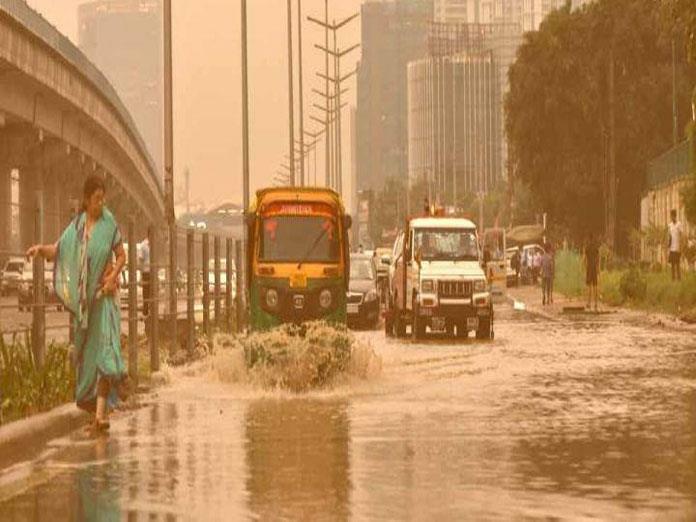 New Delhi, Feb 7: It was a cloudy Thursday morning here as light to moderate rains lashed parts of the National Capital Region (NCR), while the weather office has predicted more showers throughout the day. The showers however, had no effect on the mercury with the minimum temperature recorded six notches above the season's average at 15 degrees Celsius. With humidity recorded at 89 per cent, the air quality was 'very poor' in the city. According to the System of Air Quality and Weather Forecasting And Research (SAFAR), the overall quality index (AQI) of the national capital region was recorded at 265. "The sky will remain generally cloudy throughout the day with light to moderate rain or thunderstorm and hail likely in the later parts of the day as well," the India Meteorological Department (IMD) said. At least 16 Delhi-bound trains were delayed by two to six hours due to fog and low visibility. In the past 24 hours, the city witnessed about 1 mm of rain. On Wednesday, the maximum temperature was recorded at 25.1 degrees Celsius, two notches above the season's average while the minimum was 12 degrees Celsius, three notches above the season's average.